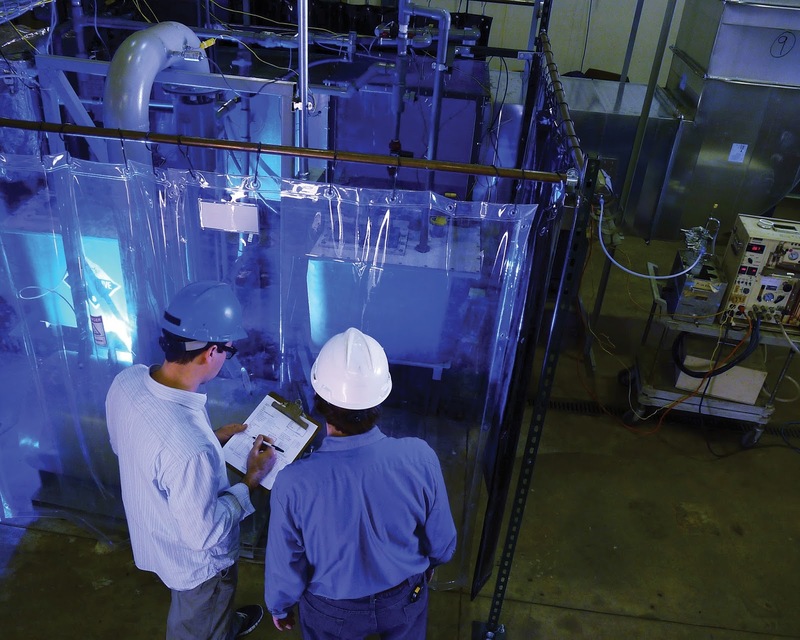 The U.S. Department of Energy (DOE) recently announced an $8.8 million award to the Energy & Environmental Research Center (EERC) to investigate the feasibility of storing carbon dioxide (CO2) emissions underground. “We’re one of just three such feasibility projects awarded in the United States,” said Wes Peck, Principal Geologist and Geosciences Group Lead at the EERC. 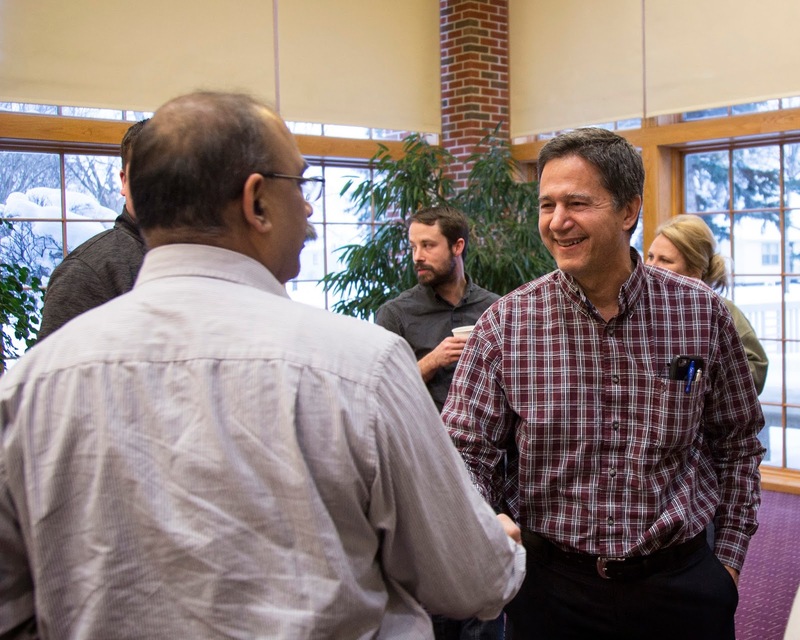 The EERC will also receive a $1.2 million award to conduct a prefeasibility study focused on the capture and storage of CO2 emissions in Nebraska. The $10 million contracts are part of the $44 million awarded by DOE through the Carbon Storage Assurance Facility Enterprise (CarbonSAFE) initiative. The goal is to help mitigate CO2 emissions from the burning of fossil fuels. Coal production is one of North Dakota’s largest industries, and about 30 million tons of lignite is mined each year. With one of the largest reserves of lignite in the world, North Dakota has enough coal to produce energy for 835 years, according to the Bismarck State College Energy Center for Excellence. Burning coal to fuel power plants and other industrial activities emits CO2, and the nation has been seeking ways to mitigate CO2 emissions. One idea is to capture the carbon and store it underground. Is it feasible? That’s what DOE wants to find out. EERC researchers will investigate the feasibility of capturing emissions from coal-fired plants, compressing the CO2, and injecting it a mile deep underground. One of the most promising sites is the Broom Creek Formation in Oliver and Mercer Counties in central North Dakota. If viable, the site could eventually store 2 million metric tons of CO2 per year for 25 years—a total of 50 million metric tons that would not be emitted into the atmosphere. 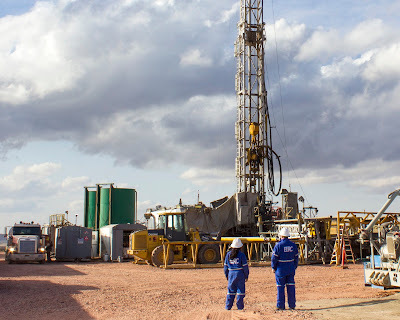 “There is no oil there,” said Peck, “and it’s not used for any other resources.” The water in the rock formation, he added, is saltier than that in the ocean and well below any potential drinking water. A major aspect of this project is to acquire new geologic information about the Broom Creek Formation. This will include drilling two exploratory wells into the formation to gather rock samples. The project will not actually inject any CO2 into the formation; it will just examine the feasibility of the project and the site. If the results are promising, more research will be done. The prefeasibility study being conducted in Nebraska will investigate the deep geologic storage opportunities for CO2 emissions from the coal-fired Nebraska Public Power District’s Gerald Gentleman Station, about 300 miles west of Omaha. The EERC has a long history of working well with DOE, said Peck. The EERC's work on clean coal-burning technology and geologic storage of CO2 has resulted in great working relationships with federal agencies, industry, and others. 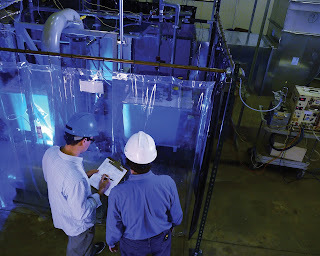 The U.S. Department of Defense (DoD) announced a $1.8 million contract with the EERC to reduce the water consumption of DoD facilities that use evaporative cooling towers to provide cooling for air conditioners, power stations, data centers, and other industrial facilities. The project, entitled “Hygroscopic Cooling Tower for Reduced Water Consumption,” will span a 3-year time period, covering several project milestones. Cooling towers are intensive consumers of water, yet they are also potential energy-saving devices and can be important system components to meet combined energy- and water-saving goals. As part of the project, two demonstration units of a novel cooling tower technology designed to restrict water evaporation will be tested at sites that are characterized by “hot, dry” and “hot, humid” summer weather. The technology will attempt to strike a better balance between wet and dry cooling so that the benefits of wet evaporative cooling can be applied during hot summer afternoons, but the evaporated water loss can be restricted during cooler times when conditions allow for efficient sensible heat transfer to the air. Annual performance data will be collected and will include water savings, cooling efficacy, and operational costs. The results will help DoD energy managers estimate the technology’s cost-saving potential, understand its operations and maintenance requirements, and identify potential integration strategies. For more information on the EERC's water programs, click here. The EERC welcomes Dr. Nicholas Azzolina as a Principal Hydrogeologist and Statistician, where he performs statistical data analysis and supports projects related to CO2 enhanced oil recovery (EOR), CO2 storage, unconventional oil and gas production, and chemical contamination of environmental media (soil, groundwater, and sediment). Nick also specializes in conducting life cycle assessments for carbon capture, utilization, and storage (CCUS) projects and leads risk assessments for CO2 storage, EOR, and other subsurface projects. Nick is a hydrogeologist and statistician with 20 years of industrial and consulting experience, specializing in statistical analysis and modeling of large, complex environmental data sets. He holds a B.A. degree in Geological and Geophysical Sciences from Princeton University, an M.S. degree in Hydrogeology from Syracuse University, and a Ph.D. degree in Environmental Management and Science from Carnegie Mellon University. 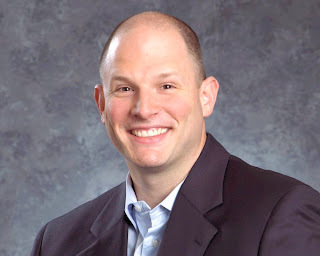 Prior to joining the EERC, Nick was Principal and Cofounder of The CETER Group, Inc., a scientific consulting firm, where he worked with the EERC on various projects for over the last decade, several in support of its Plains CO2 Reduction (PCOR) Partnership, investigating CO2 storage for EOR fields, life cycle analysis of greenhouse gas emissions associated with oil and gas development, and project risk analysis for large-scale geologic storage of CO2. Nick and his wife have two boys, ages 10 and 11, and a teenaged daughter, age 14, all on competitive swim teams. Originally from Easton, Pennsylvania, Nick enjoys exercise and hiking and tries to take at least one trip each year to a national park. Nick says he’s one of those lucky people whose career and hobby align: he spends most of his free time reading books on statistics, geology, and related fields. The Energy & Environmental Research Center (EERC) congratulates Mike Holmes, former Director of Energy Systems Development, who recently joined the Lignite Energy Council (LEC) as Vice President of Research and Development. Holmes worked at the EERC for more than 15 years building successful programs in fossil energy research. During that time, he received LEC’s Distinguished Service Awards for both Government Action Program (Regulatory) (2005) and Research and Development (2003). His areas of expertise include CO2 capture; fuel processing; gasification systems for coproduction of hydrogen, fuels, and chemicals with electricity; process development and economics for advanced energy systems; and emission control (air toxics, SO2, NOx, H2S, and particulate technologies). In his new role, Holmes will lead LEC’s R&D program, which partners the state and the lignite industry to demonstrate how lignite facilities can be cleaner and more efficient. A major emphasis has been placed on projects to reduce nitrogen oxides, mercury, and carbon dioxide from plant emissions. This work provides LEC members with a central focus for innovation and expertise that can be shared among companies. The LEC’s R&D program also helps maintain jobs and increases economic activity and tax revenue to state and local government entities. In addition to R&D, studies regarding the market size for lignite-based products, such as beneficiated lignite, provide value to the lignite industry. Like most people, our employees work for a greater purpose and believe that their work makes a difference in the world’s energy future. Additionally, they are focused on making a local impact and are engaged and generous supporters of social causes on campus and in the community. 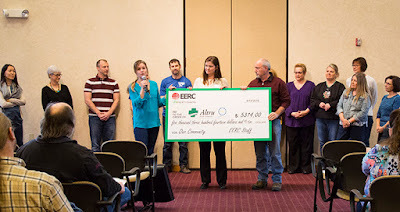 The United Way, UND’s Thanksgiving Mortar Board, Tubs of Love, Relay for Life, and the Adopt-a-Family Program through the Grand Forks schools are just a few of the charitable organizations that regularly benefit from EERC employees giving of their time and money, and EERC employees have always banded together to hold fund-raisers to help individual families in need. In 2016, the EERC Social Cause Committee, a grassroots organization sanctioned by EERC leadership, was born of employees’ desire to channel their efforts to create an even bigger community impact. The Committee chose the Altru Health Foundation as its designated charity that year. 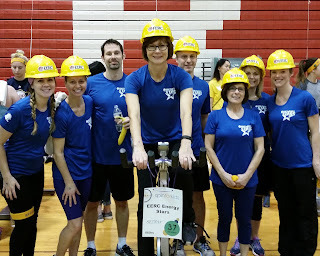 In April of 2016, a number of EERC employees participated in the annual Spin for Kids fundraiser put on by Altru Health System’s Outpatient Pediatric Therapy to raise funds for families with children who have special needs and lifelong medical expenses. The EERC Energy Stars team raised $5400—the second largest amount raised by a team. The EERC’s designated charity for 2017 will be the Northlands Rescue Mission.